What happens to things like base housing and health insurance after a military divorce? In general, following a divorce the military does not have an obligation to provide base housing to the former spouse. Rules may vary, but bases may provide 30 to 60 days following the finalization of the divorce for the former spouse to vacate base-provided housing. The need for the former spouse to pay for housing can be something that is addressed in the alimony award, if appropriate. 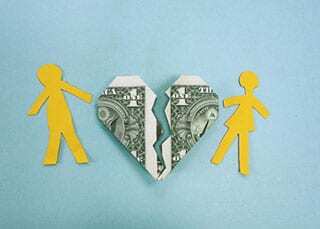 High healthcare costs have made medical benefits an issue in many divorces. Former military spouses may be eligible to continue their medical coverage under Tricare provided that the marriage lasted for 20 years, during which the military spouse served for at least 20 years – meaning the marriage and military service must overlap by at least 20 years, the former spouse does not have the medical coverage under an employer’s sponsored health plan, and the former spouse has not yet remarried. Be aware that spouses married for 20 years with the terms stated above, but the military spouse serving only 15 years of creditable retirement service, are entitled to one year of medical care, but no other benefits. Also, after the first year and for spouses that do not meet a 20/20/20 rule or 20/20/15 rule, the continued health care benefit program can extend some medical benefits to former military spouses provided certain requirements are met.